Soak the dry chickpeas overnight in plenty of water. Drain water off chickpeas and discard the water. Place chickpeas into TM bowl with all other ingredients and pulverize on speed 9 for 30 seconds or until mixture becomes paste, using spatula to assist. 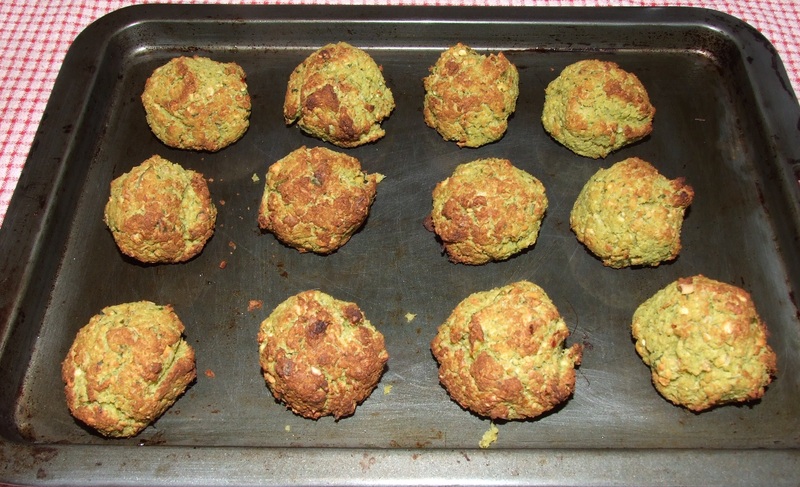 Allow mixture to stand for 30 minutes then form into balls. Place onto lightly oiled oven tray, flatten slightly and dry bake in oven at 180 degrees for 45 minutes – turn during baking to ensure even browning. 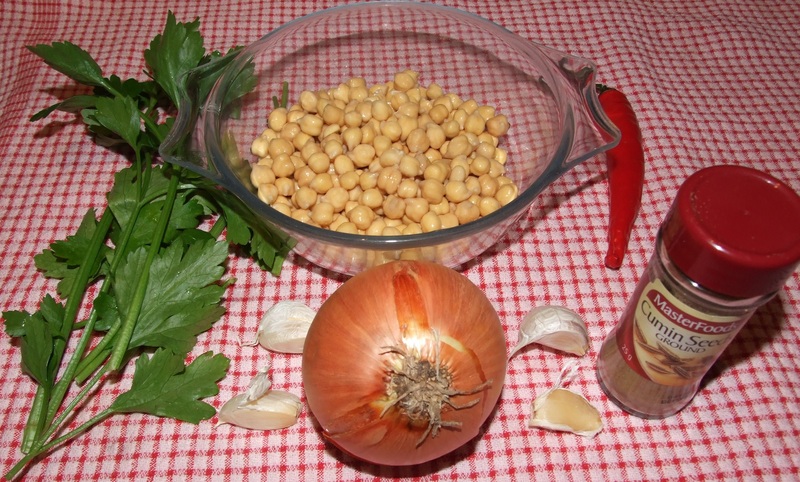 Place chickpeas into food processor with all other ingredients and process until mixture becomes paste. Serve with salad in flat bread with Hummus. 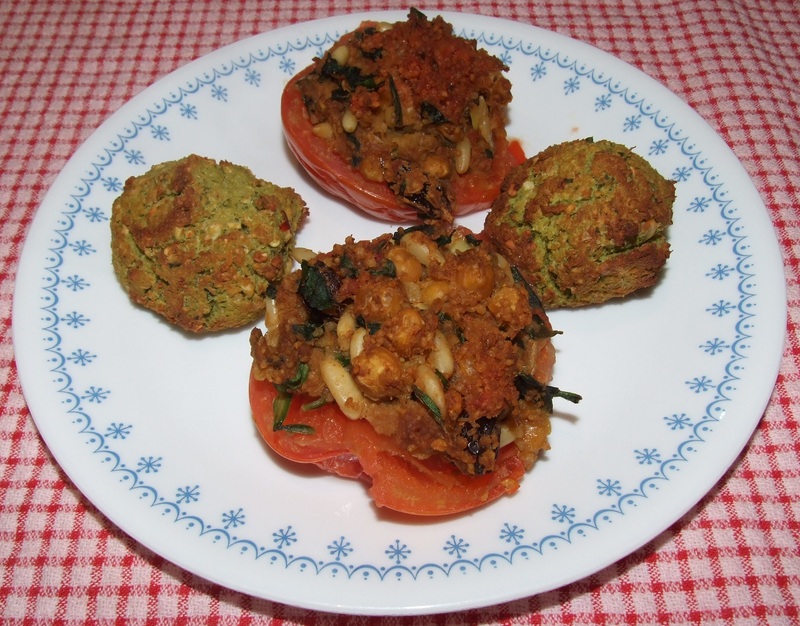 I combined them with my Stuffed Baked Tomatoes with Couscous.